Children’s entertainer Mister G has made quite the name for himself throughout his career, turning out album after album of family-friendly music that successfully bridges cultural and musical boundaries That success was continued late this month when the Latin Grammy® Award-winning musician released his latest album Mundo Verde/Green World. The 11-song record, his eighth offering, is a success due in part to its overall theme. That will be discussed shortly. The variety presented throughout the record’s musical arrangements is just as important to discuss in examining the album’s presentation as its central theme. The record’s sequencing rounds out its most important elements. Each element is important in its own right to the album’s whole. 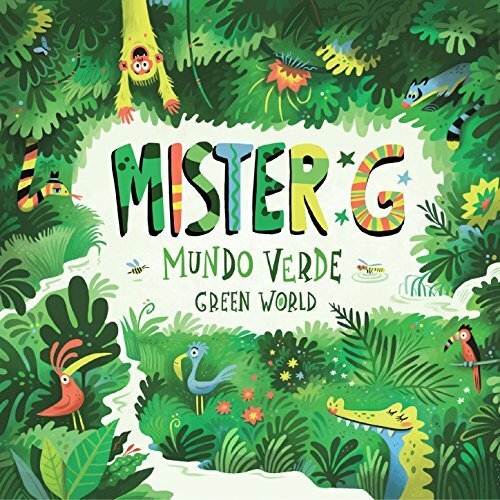 All things considered, they make Mundo Verde / Green World yet another successful offering from Mister G and potentially one of this year’s top new children’s albums. Mister G’s eighth studio recording Mundo Verde / Green World is yet another successful offering from the veteran children’s entertainer. That is thanks in no small part to the album’s central theme, which promotes environmental awareness. Right from the album’s outset, Mister G sings to his listeners, “We’ve got to protect this planet of ours…I want to live in a green world.” That emphasis on environmental awareness continues throughout the rest of the album’s run, too, in various ways. From a song about recycling (which is in fact simply titled ‘Recycling’) to a song promoting the huge importance of the tiny honey bee (yes, that song is called ‘Bee’) to the encouraging ‘Yes We Can’ and more, this record’s songs focus in their own way on that one central theme of caring for the planet. Obvious, Mister G is not the first artist from any genre to focus on the plight of the planet. But this album marks the first of his albums to focus so wholly on that one subject. It is one more way in which he continues to keep his albums varied from one to the next—his previous albums have paid tribute to the Jewish people and culture, general education and on animals among other topics—making that central theme all the more important to the album, even if the theme is not uncommon to the music industry in whole. It is only one of the elements that makes this record so enjoyable. The album’s musical styles exhibit their own variety throughout its run. The variety presented throughout Mister G’s latest album is so important because it shows just as much as the album’s theme, Mister G’s continued conscious effort to keep things fresh for his listeners. ‘Agua’ takes the Latin sounds for which Mister G has come to be known throughout his career and crosses them with an arrangement that conjures thoughts of the Hawaiin-islands. With the recent success of Disney’s Moana, some might even start getting images of the Polynesian islands of the Pacific in listening to this song’s arrangement. ‘How Many Fish’ is yet another surprise as its musical arrangement lends itself easily to comparisons to certain works from John Mayer. The easygoing arrangement presented in ‘Paws in the Air’ stands out in its own way with its easy comparison to works from Jason Mraz, Jack Johnson and other similar acts. Even the more Latin-leaning arrangements featured in this record show their own identity from one another. Considering the variety exhibited throughout the course of this record’s arrangements, it becomes clear why the record’s musical variety is so important to its overall presentation. It still is not the last of the album’s most important elements. The record’s sequencing rounds out its most important elements. Mundo Verde / Green World’s sequencing is an important piece of the record’s whole because it is puts the finishing touch on the already solid foundation created through the record’s theme and musical variety. The finishing touch in question is a continued energy from one song to the next, with the variations in that energy being just enough from one to the next to ensure listeners’ engagement. The sequencing also involved variations, just slight enough, in the arrangements to ensure even more listeners’ engagement. 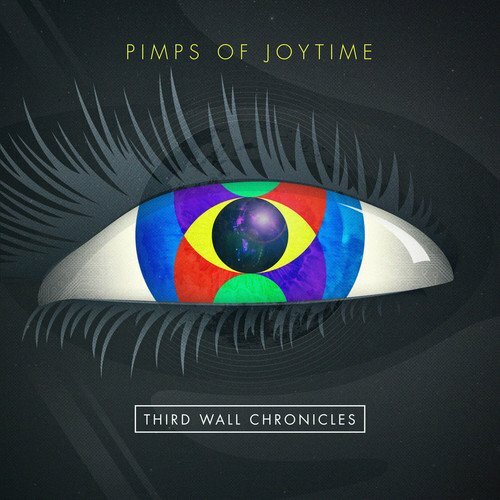 Keeping this in mind, the album’s sequencing proves to be just as critical to its overall presentation as its central theme and its musical variants. When all three elements are joined, they make the album in whole yet another successful offering from Mister G and potentially one of this year’s top new children’s albums. Cohen Media Group has a very special treat for classic movie buffs and horror movie fans this Halloween. 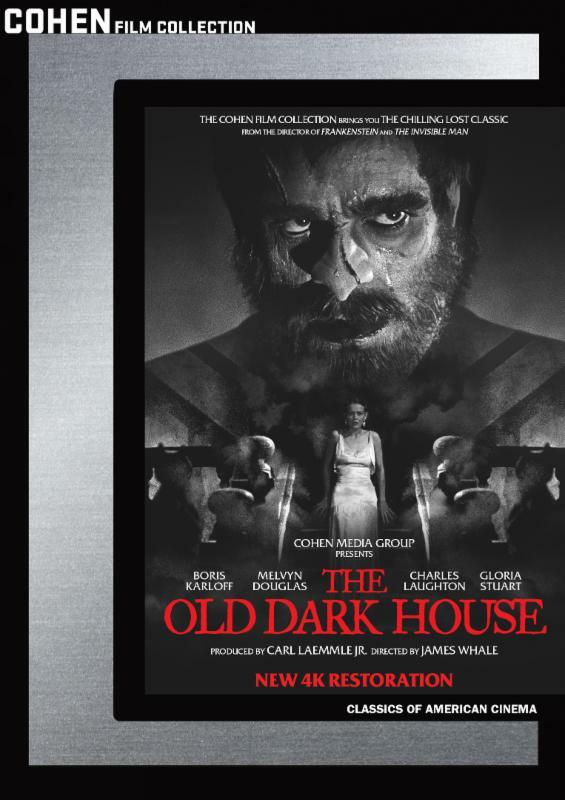 The independent movie studio will re-issue director the classic 1932 James Whale-directed thriller The Old Dark House Oct. 24 in stores and online. The vintage thriller, which runs 72 minutes and is based on author J.B. Priestley’s book Benighted, it follows a group of wayward travelers seeking shelter from a storm in a forbidding old mansion in the Welsh countryside. Boris Karloff (Frankenstein, Bride of Frankenstein, The Mummy) as a creepy mute butler living and working in the mansion. He is not the only creepy figure living in the house. An elderly woman living in the house presents her own scares for the unlikely guests. Audiences can view a trailer for the movie online now here. Also starring in the movie are Gloria Stuart (The Invisible Man, The Prisoner of Shark Island, Titanic), Melvyn Douglas (Ninotchka, The Changeling, Hud), Charles Laughton (in his Hollwood debut here, later known for his work on Jamaica Inn, Spartacus, Mutiny on the Bounty), Raymond Massey (East of Eden, Abe Lincoln in Illinois, Arsenic & Old Lace) and Ernest Thesiger (Bride of Frankenstein, A Christmas Carol, The Man in the White Suit). Along with the movie itself, Cohen Media Group’s forthcoming re-issue of the movie will also include bonus interview with Sara Karloff, Boris Karloff’s daughter. It will also include a feature-length audio commentary track with insights from Stuart, a separate feature-length commentary from James Whale biographer James Curtis and a featurette on the work to restore the classic 1932 flick’s footage. PBS Distribution will get a little “Wild” this October. 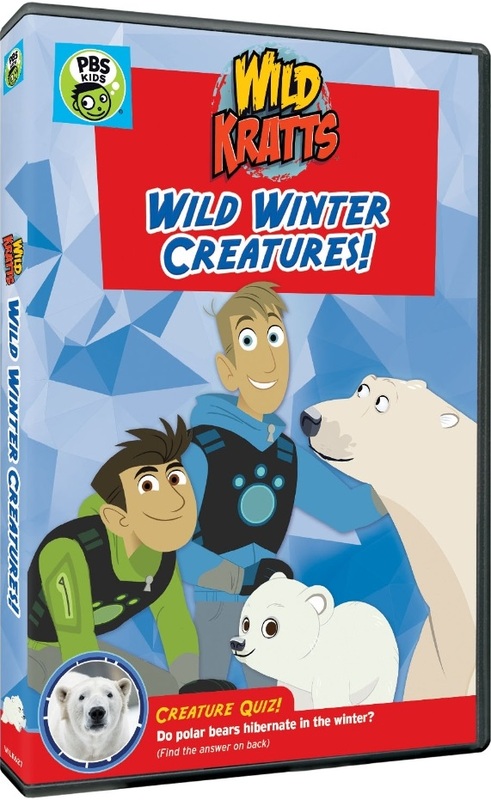 The company will release a brand new Wild Kratts DVD Oct. 10 in stores and online titled Wild Kratts: Wild Winter Creatures. The four-episode collection will retail for MSRP of $14.99 and can be pre-ordered online now via PBS’ online store. The brothers Kratt have to deal with the vile Zach Varmitech in “Polar Bears Don’t Dance”, one of the disc’s featured episodes, after they find out he has kidnapped a walrus calf and Polar Bear cub. In “Journey to the Subnivean Zone,” Martin and Chris get miniaturized and discover the world of the meadow vole. A search for Chris’ Creature souvenir leads the Kratts and their friends back to the Arctic and a lesson about the Musk Ox in “Musk Ox Mania.” In “Mystery of the Weird Looking Walrus,” Chris and Martin have to deal with Zack Varmitech again after Zach and Donita Donata partner to kidnap a herd of walrus for evil purposes. PBS Distribution and PBS Kids will soon release a new collection of episodes from the hit animated series Super Why! Super Why! : Sleeping Beauty and other Fairytale Adventures will be released in stores and online Tuesday, Oct. 31. The collection, which will retail for MSRP of $9.99, can be pre-ordered now via PBS’ online store. It features four more episodes taken from the long-running vocabulary-building series that all focus on famous fairytales. 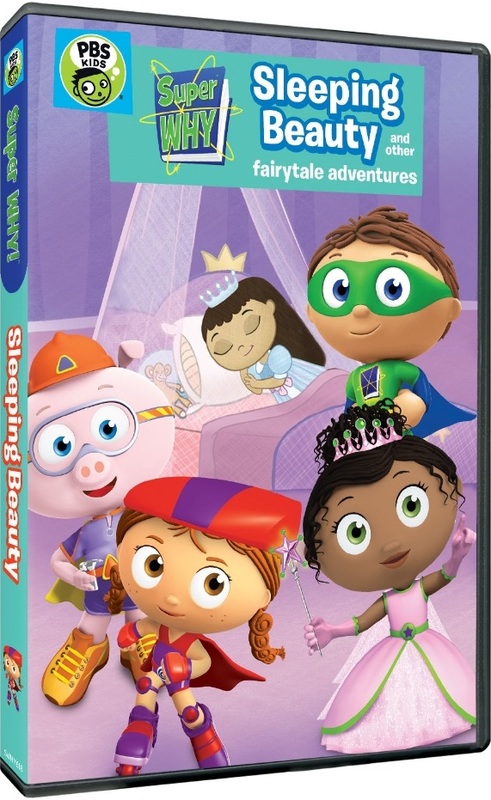 The disc’s title episode follows Whyatt and his friends as they have to keep waking up Sleeping Beauty in order to convince her not to let life pass her by. It is a fun new twist on a classic story that is sure to put a smile on any viewer’s face. “The Frog Prince” takes another classic tale and gives it a fun twist that also teaches a valuable lesson about compromise (a lesson from which even adults could learn). “The Twelve Dancing Princesses” follows Whyatt and his friends as they try to find out why Whyat’s family is being secretive while “Princess Gwennie Saves The Day” teaches an invaluable lesson about finding one’s own special gifs and talents. Singer/songwriter Andrew Carter is on the verge of becoming one of the next big names in the country/southern rock arena. That is thanks to Carter’s latest studio recording, his new self-titled, eight-song EP. Released via Dog Songs Records, this record gives southern rock and country fans plenty to appreciate both musically and lyrically—two of its most important elements. The record’s sequencing rounds out its most important elements. Each element is key in its own way to this record’s whole. Collectively, they make Andrew Carter the first step in a potentially big career for Carter. Andrew Carter’s self-titled debut recording is a solid start for this up-and-coming, Tennesee-based southern rock/country artist. That is proven in part through the musical arrangements that serve as the record’s foundation. From start to finish, the musical arrangements presented in this record conjure thoughts of Lynyrd Skynyrd, Tom Petty & The Heartbreakers, The Black Crowes and even Hank Williams Sr. among so many other top name acts from the southern rock and country realms. The album’s opener, ‘Tear This Motha’ Down’ even conjures thoughts of Shooter Jennings with its arrangement. As if that is not interesting enough, the record’s second offering, ‘The Weekend’ conjures thoughts of Bob Dylan while the rest of the song lends itself musically to thoughts of more modern southern rock and country works. The reference to Lynyrd Skynyrd applies to the album’s fourth song, ‘Six Thousand Miles.’ Instantly lends itself to comparisons to the aforementioned band’s megahit ‘Tuesday’s Gone.’ Considering this and the equally easy comparisons that can be made through the record’s other compositions, it can be said easily that the album’s musical arrangements do plenty to make this record enjoyable for any southern rock and country fan. It is only one part of what makes Andrew Carter an enjoyable listen for those noted audiences. The record’s lyrical themes are just as important to its presentation as its musical arrangements. 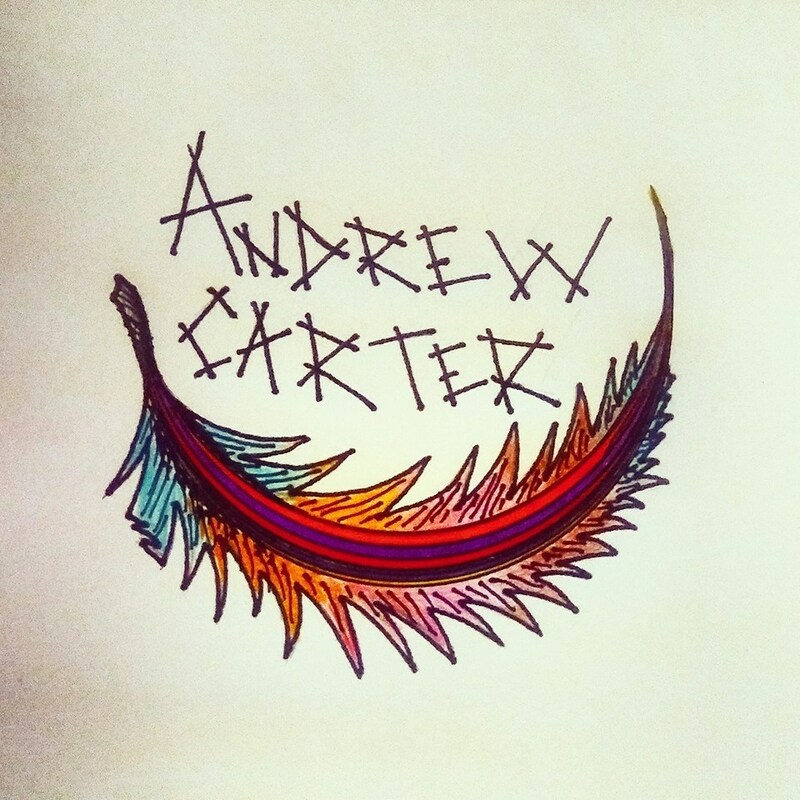 The lyrical themes presented throughout Andrew Carter’s debut recording are collectively an important part of the album’s whole because while maybe not as diverse as the musical influences, they are still interesting in their own right. Carter sings in the EP’s opener about a woman who clearly made quite a difference in his life (or that of the song’s subject). ‘The Weekend’ is also about a woman, yet, it’s also about the joys of two people spending the weekend together; no stresses of work, just the two people. It’s a fun, light song that is sure to put a smile on any listener’s face. There is even a tribute to all things southern in the simply titled ‘My Favorite Thing (about the South)’ that is also a tribute (no surprise) to a woman. ‘Ghost Of Me’ offers up a fun, light-hearted introspective on Carter’s life that will entertain listeners just as much lyrically as it will musically. It’s just one more way in which the lyrical content presented in Andrew Carter proves to be so important It shows alongside the album’s other lyrical themes, Carter’s ability to be lyrically diverse without being overly so. That being the case, it becomes clear why the lyrical themes presented in Carter’s debut album is so important to the album’s whole. Even with its importance, it still is not the last of the album’s most important elements. The album’s sequencing rounds out its most important elements. Andrew Carter’s sequencing is important to discuss here because it determines the album’s ability to keep listeners engaged and entertained just as much as the album’s musical and lyrical content. Obviously plenty of time and thought was put into making sure this record would keep listeners engaged and entertained, too. From start to finish, the album’s energy never lets up too much. Even in the case of the Tom Petty-esque ‘Same Old Song’ (which is one of the album’s slower songs and sounds eerily like Petty’s ‘Last Dance With Mary Jane’ musically speaking), the energy still maintains itself in its own way. Simply put, the album’s energy never lets up or gets too much at one point or another at any one point throughout its run. Keeping this in mind, the album’s sequencing definitely ensures just as much its musical and lyrical content, listeners’ engagement and entertainment. When all three elements are joined together, they make the album in whole a solid start for Andrew Carter, giving hope for a long career to come.